Junior Cert & Leaving Cert Supervised Exam Study starting on Monday 29th May here at the Enterprise Centre! Fully supervised, quiet study area with no mobile phone use allowed. 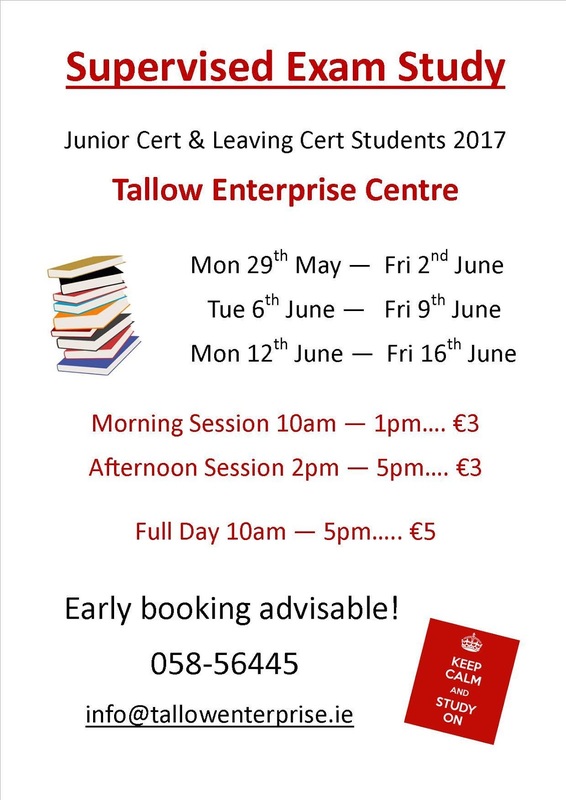 Places fill up fast so please book in ASAP - 058 56445.